D: Black dial with applied luminous markers & Mercedes hands, date aperture, gilt divers symbol. 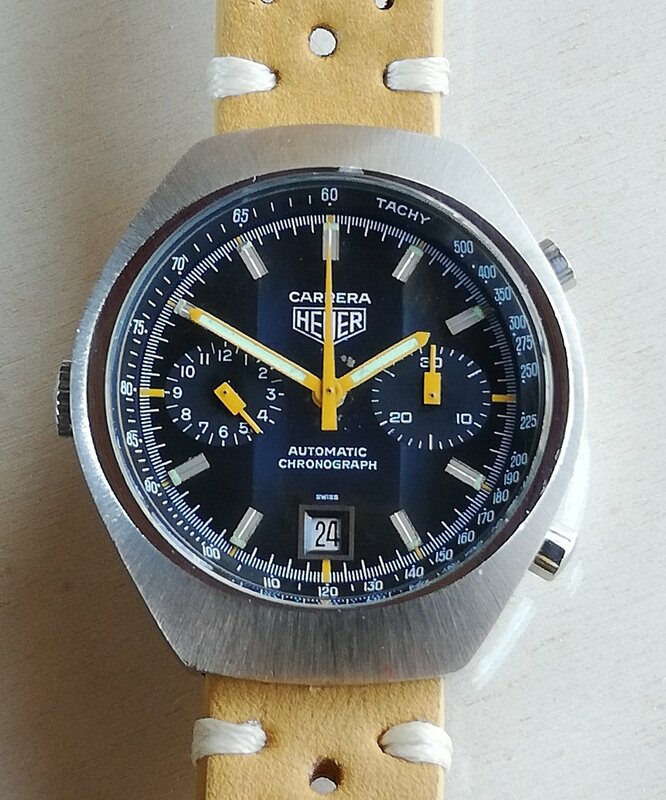 M: 25 jewel automatic movement, signed Tag Heuer / ETA 2824-2. C: Circular case with rotating bezel, screw down crown – service replacement , ref 180.123, case diameter measures approx 42mm. B: Original Tag Heuer bracelet wit flip-lock clasp.